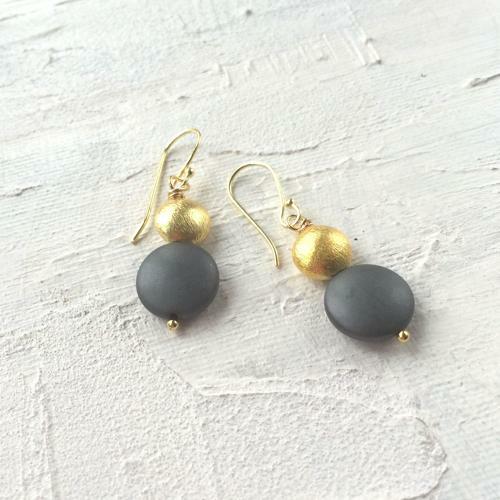 Drop earrings with hematite beads and gold or silver plated nuggets. Hypoallergenic and nickel free. Designed and hand made in England.